New Server – I’m not sure what to make of this Remington R10 as the specs are sparse and the product page lacks verbiage that reflects the rifle pictured. The rifle in the picture shows an AAC TI-Raid 30 Silencer, Vortex Scope, Vortex Scope Mount and a Harris Bipod, none of which are listed in the specifications or description. Another interesting departure for Remington is Lancer Magazines and Geissele Two Stage Trigger. The lower appears to have a sling QD socket. I can’t determine if it’s part of the lower or not. If it is part of the lower construction this would differentiate it from the R25 GII lowers. The trigger guard appears to be typical where as the R25 GII I believe is machined as part of the lower. 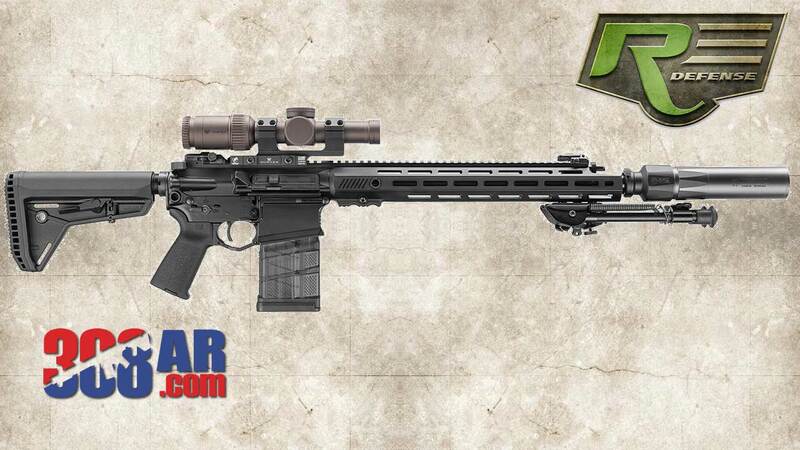 Regardless this is quite a departure from Remington’s sole .308 AR consumer offering the R25 GII. With over 200 years of experience in the design and manufacture of firearms, Remington has history of producing some of the finest firearms in the world and the R10 is just another notch in Remington’s belt. The Remington R10 is built on the AR direct impingement rifle platform and chambered in the accurate and heavy hitting 7.62x51mm NATO/.308 Winchester cartridge. 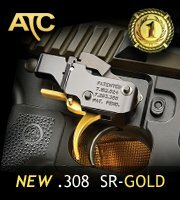 Both the upper and lower receivers are hard coat anodized to ensure a durable and non-reflective finish. The carbine length barrel is 16 inches long and has a 1:10” twist perfect for stabilizing heavy 174+ grain bullets, the ideal ammunition for a medium to long range tactical rifle. The muzzle is 5/8x24 tpi threaded, making it compatible with the vast majority of muzzle attachments for .308 Win barrels. Remingtons patent-pending 7.62mm carbine design, re-engineered from the bolt group to the buttstock to deliver 7.62mm knock-down power with the handling characteristics and similar outside dimensions of a 5.56mm AR carbine. The R10’s hammer-forged, sniper-grade barrel features 5R rifling for added precision and an effective range out to 800 meters. All R10s have fully ambidextrous controls and free floated modular Remington Arms Handguards (RAHG) (coming soon in MLOK®). As the standard 7.62mm duty carbine of the US Drug Enforcement Administration and the Federal Bureau of Investigation, the R10 firearm system is sure to meet your needs as well. The handguard is Remington’s RAHG design, with a top rail for optics and/or laser, then 7 other mountable surfaces with M-LOK style attachment points. The rifle features ambidextrous controls for the magazine release, bolt-release, and safety selector making this rifle a great option for left-handed shooters. The Remington R10 rifle features Magpul’s MOE SL-S telescoping stock, which has 6 positions for adjusting to the ideal length of pull and has a generous cheek weld. One the most useful features of the SL-S are the two battery compartments built into the stock that are sealed with O-rings to ensure the compartments are waterproof up to 10 meters and at only 2.4 inches wide it’s the narrowest storage stock on the market. 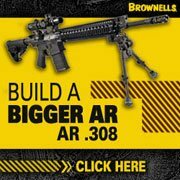 Whether you’re looking to purchase a modern sporting rifle (MSR) for late night hog hunts or are looking to add a designated marksman rifle (DMR) to your station’s armory, the Remington R10 rifle is designed to meet every expectation you have for a semi-automatic medium to long range rifle. Geissele 2-Stage Trigger with a 2.5 lb. first stage and a 2.0 lb. second stage adding up to a clean 4.5 lb. trigger pull. Comes with 3 RAHG M1913 style rails for adding mission required attachments to the handguard. Magpul MOE grip with storage compartment is ideal for storing small parts, tools, and batteries. Magpul MBUS front and rear flip sights are designed to not impede view of primary sight while providing a reliable and accurate backup sight option. Rifle comes with (2) 20 round magazines from Lancer Inc. 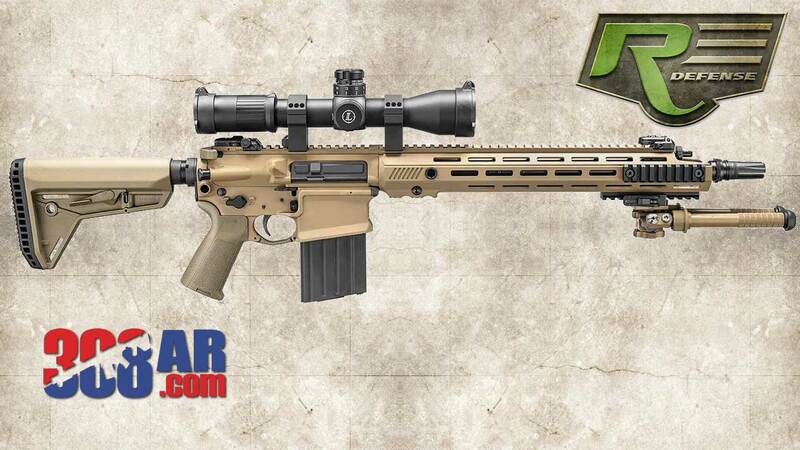 The DPMS GII .308 AR platform has once again found its way into the Remington Defense lineup, this time by way of the R10 Extended Range Assault Sniper Rifle or “ERASR“. 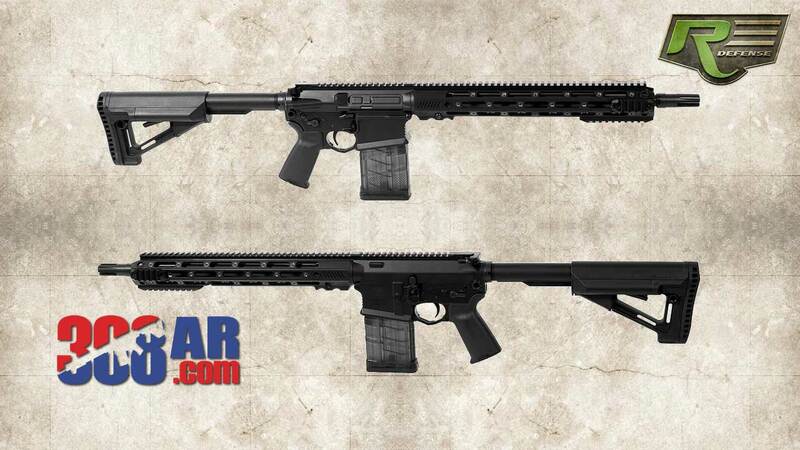 The ERASR joins the standard R10 as the only two Remington Defense semi-automatic .308’s. The R10 ERSR 86671 does not yet appear to be available for purchase. The Remington® R10™ Extended Range Assault Sniper Rifle (ERASR) is an advanced modular carbine designed around the 7.62mm NATO / .308 Win cartridge, with comparable weight, dimensions, and ergonomics to conventional 5.56mm carbines. Built around our revolutionary patent-pending Gen II 308 carbine design, the R10 has the same feel, balance, and similar outside dimensions to its 5.56mm counterparts. The R10 features fully ambidextrous controls, including the charging handle, magazine release, bolt stop, and safety/selector. The magazine release and bolt stop are integral designs to the receiver, providing solid construction and uncompromising ergonomics unlike most bolt-on solutions. The modular RAHG handguard, as used on the Remington M2010, MSR/PSR, and R4-RGP, allows unmatched adaptability in allowing the operator to attach any carbine accessory without unnecessarily cluttering the weapon’s profile. With over 200 years of experience in the design and manufacture of firearms, Remington has history of producing some of the finest firearms in the world and the Remington Defense R10 SA 308 is just another notch in Remington’s belt. The Remington Defense R10 SA 308 16″ is built on the AR direct impingement rifle platform and chambered in the accurate and heavy hitting 7.62x51mm NATO/.308 Winchester cartridge. Both the upper and lower receivers are hard coat anodized to ensure a durable and non-reflective finish. The carbine length barrel is 16 inches long and has a 1:10” twist perfect for stabilizing heavy 174+ grain bullets, the ideal ammunition for a medium to long range tactical rifle. The muzzle is 5/8x24 tpi threaded, making it compatible with the vast majority of muzzle attachments for .308 Win barrels. The handguard is Remington’s RAHG design, with a top rail for optics and/or laser, then 7 other mountable surfaces with M-LOK style attachment points. The rifle features ambidextrous controls for the magazine release, bolt-release, and safety selector making this rifle a great option for left-handed shooters. The Remington Defense R10 SA 308 rifle features Magpul’s MOE SL-S telescoping stock, which has 6 positions for adjusting to the ideal length of pull and has a generous cheek weld. One the most useful features of the SL-S are the two battery compartments built into the stock that are sealed with O-rings to ensure the compartments are waterproof up to 10 meters and at only 2.4 inches wide it’s the narrowest storage stock on the market. Delivering heavyweight punch in a platform that’s now more than a full pound lighter, the Remington R-25 GII marks a bold new chapter in America’s hunting legacy. Every design aspect was rethought and optimized to create the most agile and dependable modern sporting rifle on the planet. 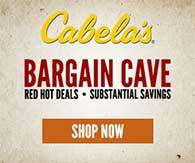 Each tuned to deliver the hair-splitting accuracy you expect from a Remington centerfire rifle. The heart of its downsized, yet stronger foundation is a matched pair of forged, anodized, Teflon®-coated 7075 upper and lower receivers. A lighter, more efficient bolt carrier, plus improved extractor and dual ejectors results in more reliable cycling. The vented carbon fiber free-float tube and Houge rubber pistol grip add to its exceptional feel. Shoulder the new Remington R-25 GII, and experience the full capability of the modern sporting rifle.